The Plasma Sphere is a super artwork of high-new technology, In the glass ball, the dreamy magic sparks are shined by the effect of high frequency current and changes to bright lightning when touched with hand. 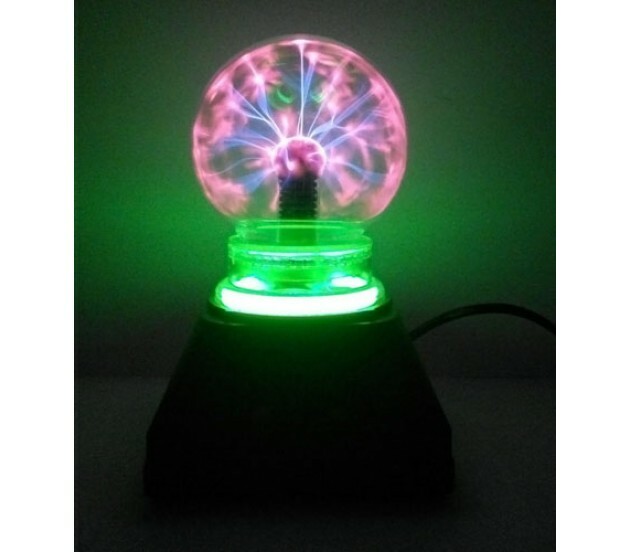 This Plasma Ball light will create a unique and fun environment on your desk or workstation. 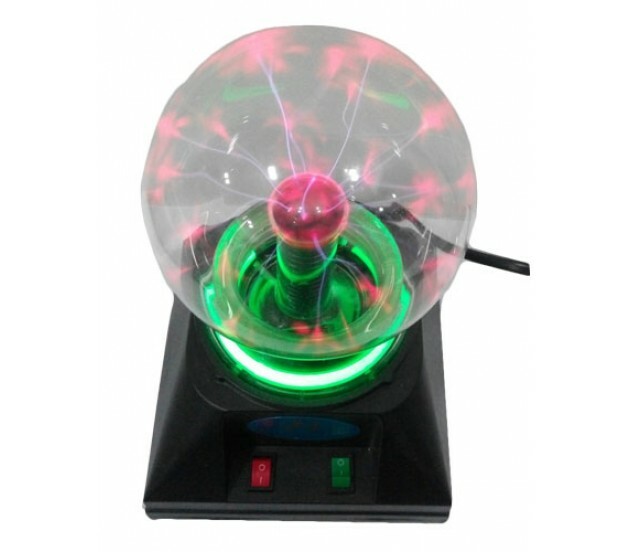 Watch with amazement as the electricity follows your finger tips across the glass ball. 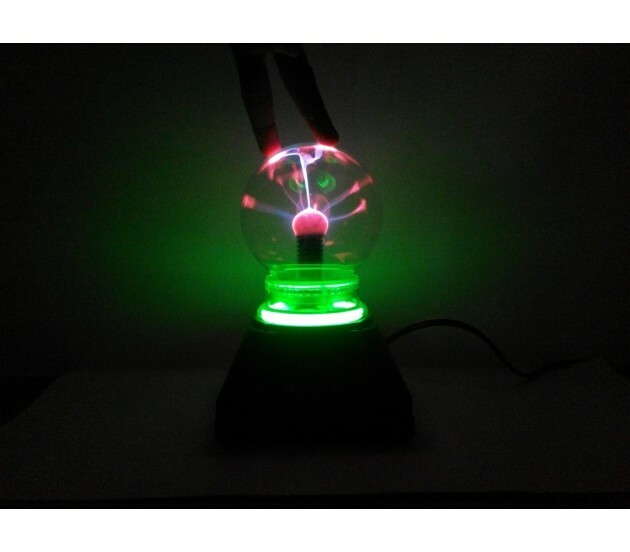 This Plasma Ball is big enough to amaze your co-workers with its awe inspiring light show. You can Turn off the Light or Lamp with buttons. Glowing Fluorescent Green round tube on its base. Light and Fluorescent tube gives sparking effect when you touch it.